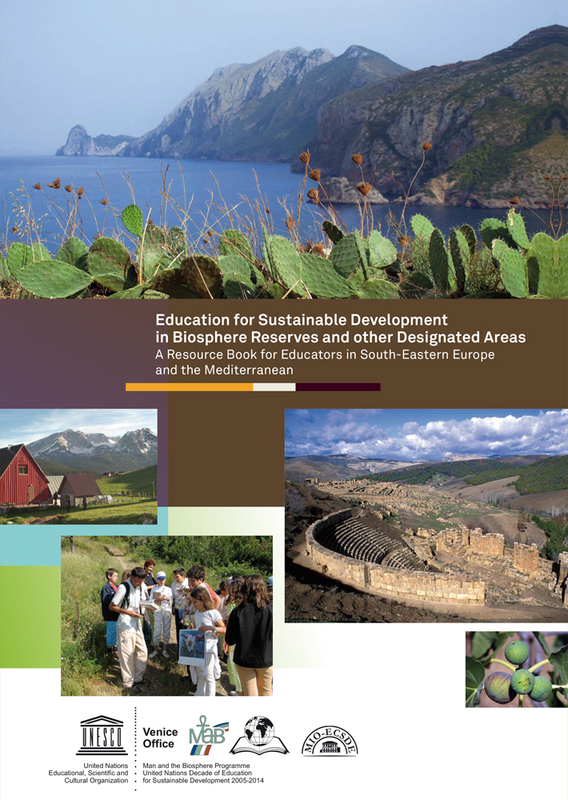 This material attempts to make a meaningful and substantial link between the educational process that is taking place in Biosphere Reserves and other protected or designated areas, and their “protection” as such, using as a vehicle “Education for Sustainable Development” (ESD). The training material is addressed to trainers, officers of MAB Biosphere Reserves (BRs), Protected Areas (PAs), Environment Centres, Nature Parks, Eco-museums, NGOs, etc. within any “Designated Area” in SE Europe and the Mediterranean. Eventually, it can be used by all those involved in implementing awareness raising programs in the field, whether from formal or non formal education.